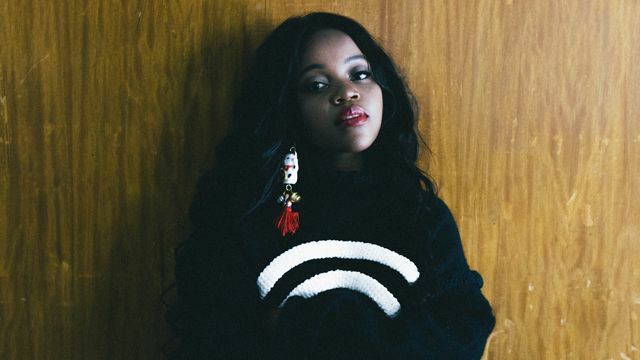 Armed with fast flow, bossy beats and hella high shoes Adelaide emcee Tkay Maidza continues to stomp her way to the top of the rap-game today announcing a national tour in support of her new single ‘M.O.B.’. Written as a letter to the nineteen-year-old’s future self – ‘M.O.B.’ is an audio blueprint to becoming the person she wants to be, a declaration to always work hard without complaining, stay focused and channel ambition as a weapon for success. Coming along for the ride at all dates are hyped up and comers UV boi. The song’s ethos of hard-work is reflected in Tkay’s year so far – earning her stripes as one of the most energetic musicians on the Summer festival circuit and making her debut in triple j’s Hottest 100. After taking her tunes to the masses and owning the stages of The Falls Music & Arts Festivals, Southbound, Beat the Drum and St Jerome’s Laneway Festival Tkay is now gearing up for sets atMountain Sounds and Groovin The Moo as well as support spots with Charli XCXin April and May. After causing a global sensation in 2014 with her singles, ‘U-Huh’ and ‘Switch Lanes’ – the rapper and singer released her debut EP ‘Switch Tape’ and epic Soundcloud mix “Switch Tape Mixtape” in October to critical acclaim. As the world took notice, Maidza inked a global booking deal with The Agency Group (home to A$AP Rocky, Danny Brown, Action Bronson, Angle Haze, A$AP Ferg, Vic Mensa + more) and embarked on a string of international dates through the USA and UK, including CMJ, returning home in November for a national headline tour and opening slots for Illy. Showing no signs of slowing down and with the tireless work ethic that shines through the lyrics of ‘M.O.B.’ the world can be sure to expect big things from Maidza’s debut album when it’s released later in 2015. Purchase tickets here, while you can. Next Post Come Together Returns For 2015!